Ball grid array devices are, without question, an increasingly important aspect of printed circuit board design. While their benefits are numerous, they present the unique challenge of requiring an enormous amount of traces to originate in a small area underneath a device and then go all over the board without crossing traces. The most challenging aspect is getting those traces out from underneath the board, a process called creating a breakout or fanout. In the breakout, these traces are said to escape from underneath the board and come to the outside where they are more accessible. A poorly designed breakout can be overcome by increasing the layer count on a PCB but that increases the cost and complexity. There are number of different scenarios that would require different approaches to breaking out the races, however, due to limitations in space, only the more common concepts and methods will be discussed here. When approaching a BGA breakout, there are several key features to watch out for. Foremost is the pin count, or how many balls there are on the device. Equally important is the pitch between the different pins. As the pitch decreases, the space available to run traces starts disappearing and the approach both in the fanout and the types of vias changes. 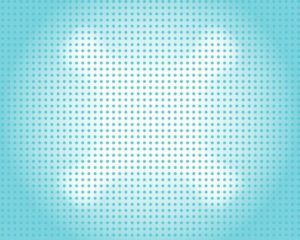 There are different patterns used as well that will affect how you break it out, whether the balls are in perfect grids, in an offset pattern, if the pattern is different for different portions of the component, and if there are no pins in the center of the component. Finally, not dependent on the component, is the constraints given to you by your manufacturer. If you need more demanding constraints, you may need to look at a different manufacturer but that will cost more and there is a limit where even the most advanced manufacturers simply cannot go smaller. A key part of actually fanning out the signals is the use of vias. Through-hole vias are simple and inexpensive and they allow you to get your signal to any layer on the board you need. However, it also makes a hole all the way through all of the layers, so whether or not a via is attached to a certain layer, that spot on each layer is unusable. With this limitation, through-hole vias are really only feasible while working with BGAs up to a couple hundred pins. After that, it starts to become increasingly difficult until it is completely impossible to properly break out the BGA using through-hole vias with or without an astronomical number of layers. Blind and buried vias, while more expensive, greatly expands the capabilities of the board and allows for greater pin count while keeping the layer count reasonable. Blind vias allow you to connect an outer layer with an inner layer without having to go entirely through the board. Buried vias can connect two inner layers without affecting layers that are not between them. These free up a significant amount of space on the board and may save cost in the long run. Once it is time to actually start designing the board, look into how the pins are set up. If there are general purpose IO available throughout the component and it is possible to choose the IO closer to the edge, do so. It is much easier to break signals out of the corners and sides of the component versus the center, so a proper setup will make your life easier. Also, in general, components have more of their power and ground pins in the center, so providing appropriate ground and power planes simplify matters by allowing vias to be dropped down directly to the planes. You will not be able to utilize that center space, but at least the effort of getting those signals out will not be necessary. There are two very common techniques that are used to fanout the different signals on a BGA. The northsouth-east-west approach is very straightforward, easy to conceptualize, and works well with relatively small BGA components. In essence, take the traces out the side of the component that they’re closest to. A pin closest to the top of the component will have its escape trace go up toward the top. A pin closest to the left side of the component will go out that way. The other technique is the layer biased approach, where all the signals on each layer tend to go a certain direction, either vertical or horizontal, until they are out from beneath the BGA. This is generally used with higher pin count devices that also require more layers to effectively route. At the level of each pin, there are also two common ways to get the signal away from the pin itself. The dog-bone is so named because it looks like a dog bone. By creating a via away from the BGA pad, you decrease difficulties with soldering and can potentially increase spacing for the traces to be ran. The other common option is the via-in-pad, in which the via originates in the center of the BGA pad. This is useful as it doesn’t use any additional space on the outer layer, however, it presents solder wicking concerns and is thus discouraged by some manufacturers and assembly houses. When working on the design, it may be a good idea to contact your manufacturing chain and discuss with them their personal preference on the matter and see if the defect rate would make via-in-pad a non-viable option. BGA breakouts is another step in the process of designing high quality circuit boards. Done properly, you can create a board that will be inexpensive, powerful, and well balanced electrically. Done improperly, it could cost significantly more than it needs to be, be larger than it needs to be, and have serious ramifications to the performance of high frequency signals. If delving into BGA design for the first time, it is recommended to find a mentor who can work with you and provide insight and feedback as well as looking deeper into written technical resources. The time and effort invested into learning how to do properly breakout a BGA will become even more valuable as time moves on and technology produces even smaller pitched, higher pin count components. 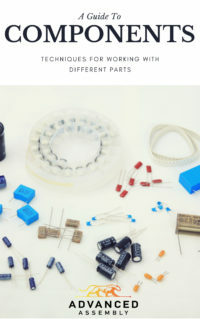 Read our free ebook, “Guide to Components,” for additional information on BGAs, as well as techniques for working with small parts, integrated circuit packages and more.